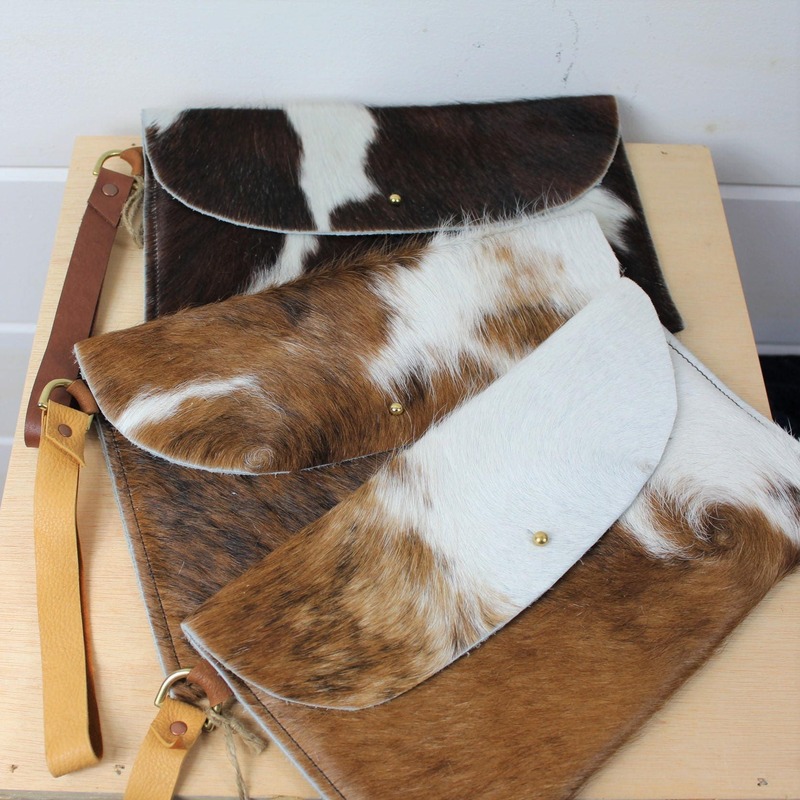 The material we used to make this tote is a hair on cowhide with a leather or deerskin strap. 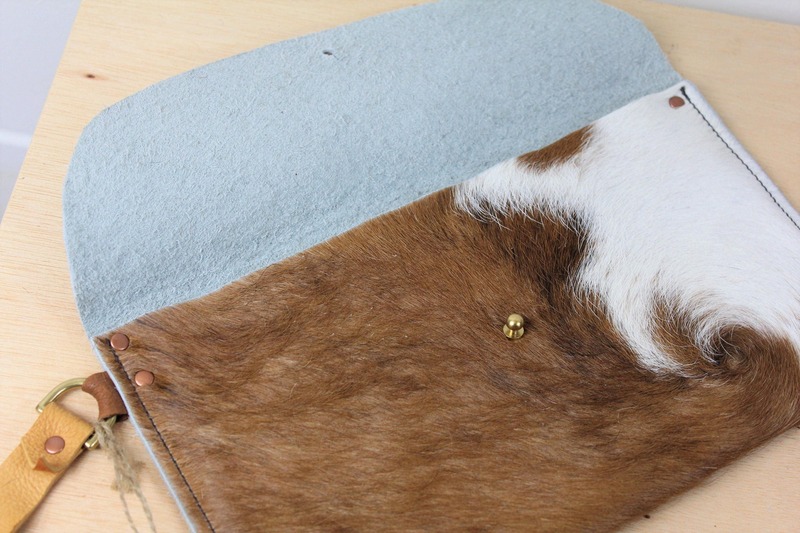 The strap is secured onto a solid brass ring and secured with an antique copper rivet. 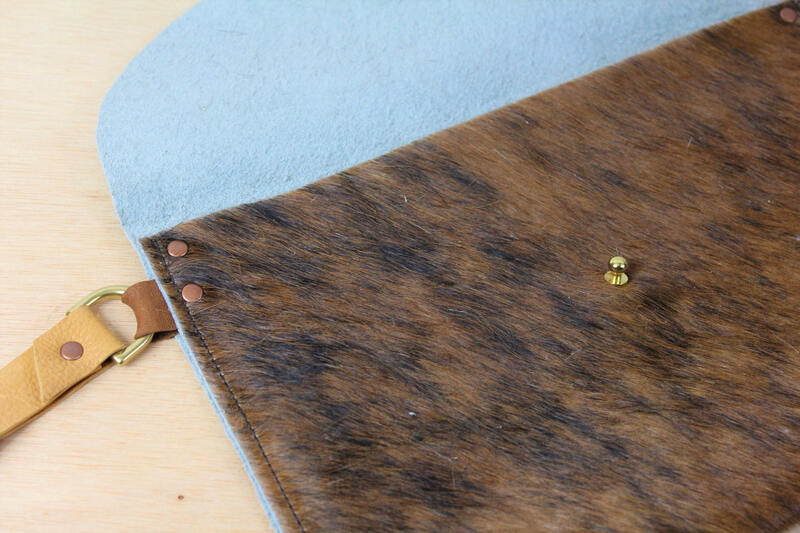 The flap is secured closed with a solid brass stud. 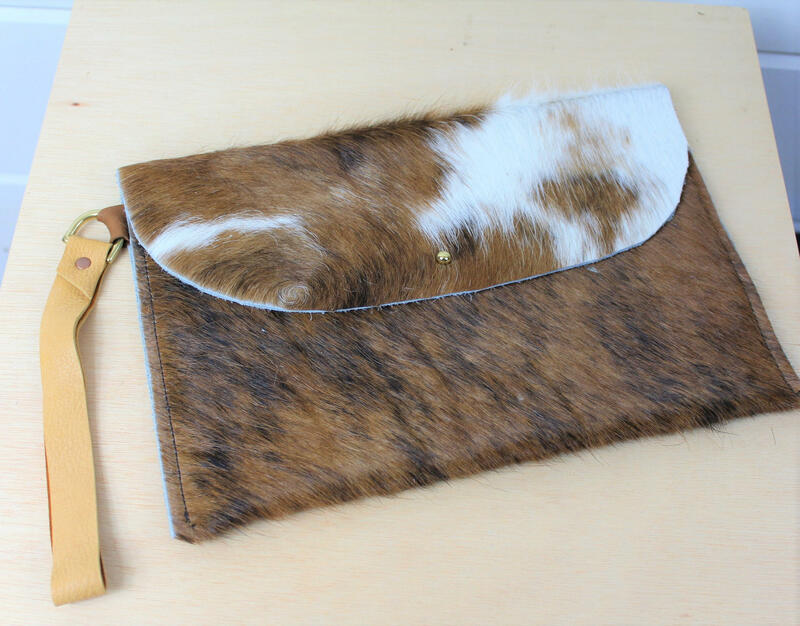 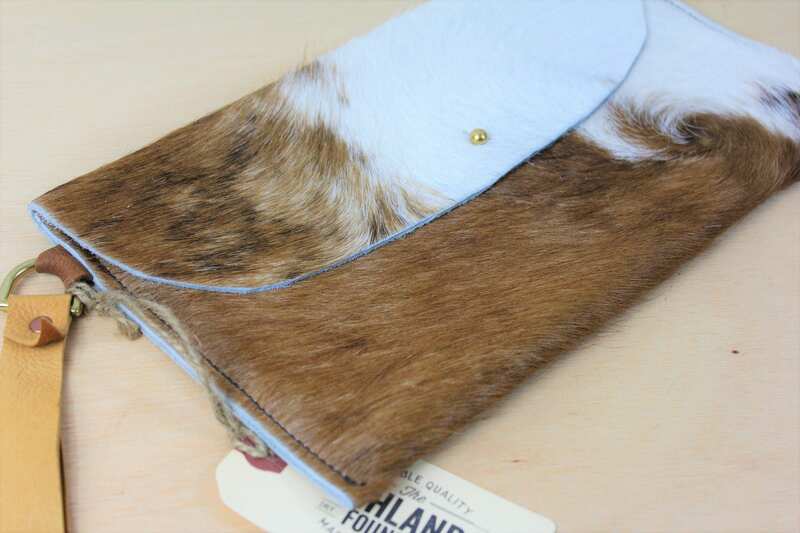 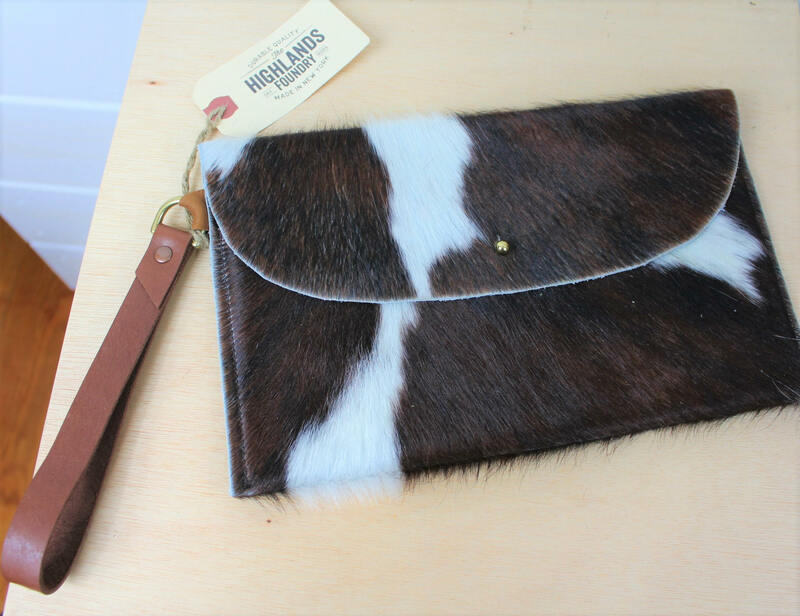 Each Cowhide pattern is one of a kind and varies per wristlet. 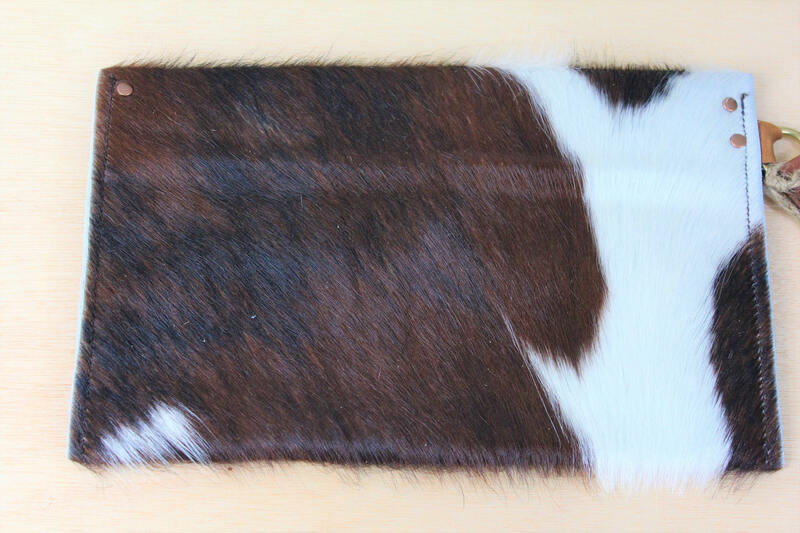 I have enclosed a lot of photos to show the range of cowhide patterns. 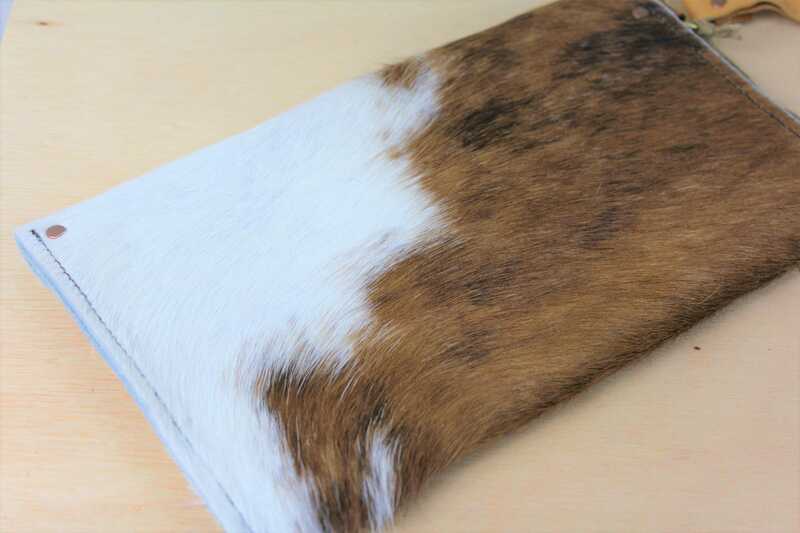 Please let me know if there is a particular one you like. 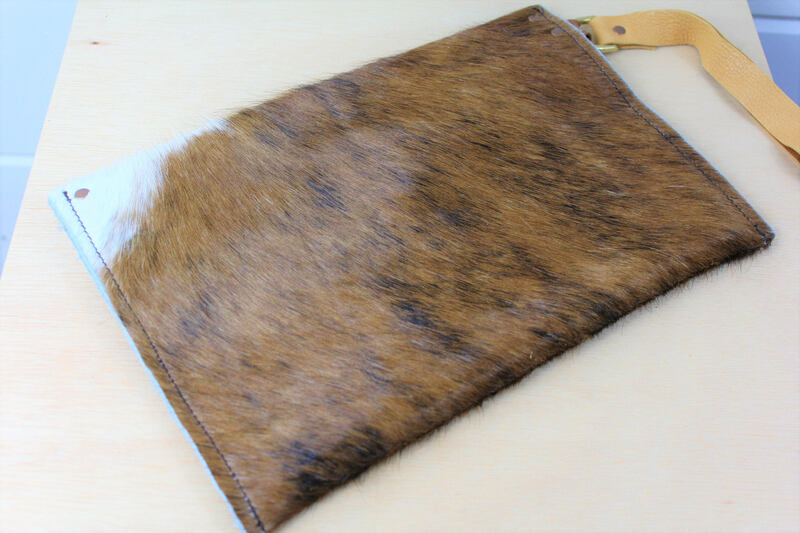 Strap length is 6 1/2"